After our many conversations about cultural appropriation, head wraps, and fashion from other cultures, I figured it was about time to move from theoretical discussion to practical application... via shopping! 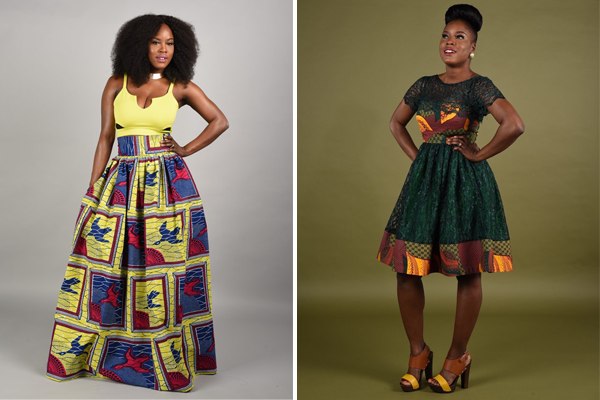 Many of us can say that we appreciate the beauty found in African fashion, and some of you may even want to add some of it to your wardrobe. However... it can be tricky to do. In the West there aren't many chain stores that feature authentic African styles, and they can be hard to find. It is far easier to find "tribal" and "ethnic" prints that knock off African trends... but the stores that sell them don't give credit or profit to the communities they originate from. That's just not right! 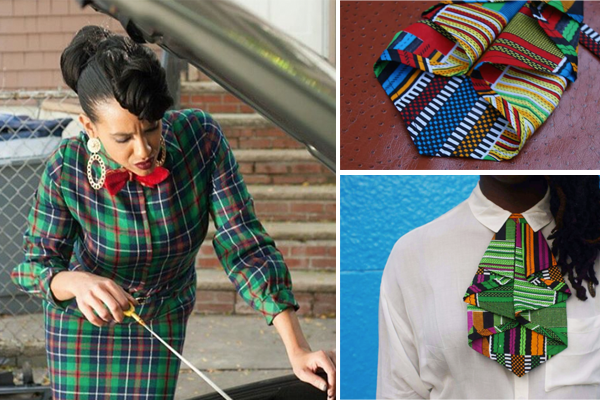 So where can you shop if you want to support African and minority designers and creators?! Well, I've rounded up 9 authentic shops from around the world that have lots of beautiful options! 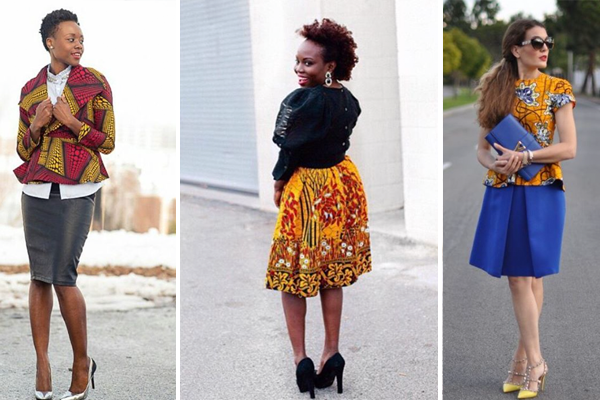 Are you really okay with non-African or non-black people wearing your designs? Unless they featured non-African or non-black people in their social media, website, or talked about this issue on their website, I went out of my way to ask this directly. Overwhelmingly, each designer and shop owner responded with honesty and is proud to share their heritage and creativity with non-Africans, as long as it is done in a respectful way. I hope this helps ease the anxiety some of you may have! Yetunde Sarumi is the designer behind this fantastic shop. 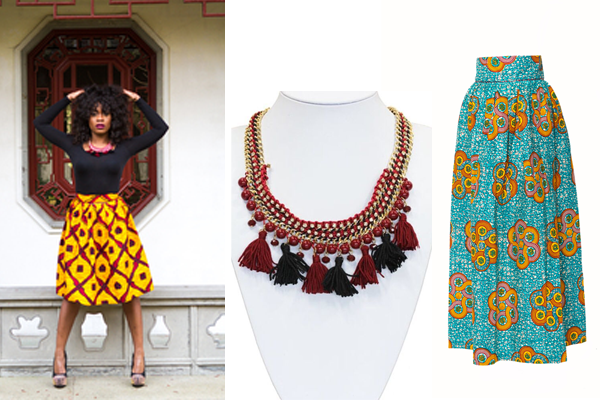 This designer pulls from her Nigerian heritage to create gorgeous pieces that combine African aesthetics with classic lines. You'll find lots of beautiful, tailored silhouettes that would work wonderfully in a vintage wardrobe! A percentage of the profits also goes to promote the STEM fields of study among African girls who are underrepresented in these professions. Also, the company is working to start a sewing entrepreneurial program in an effort to end the practice of FGM and economically empower African women. 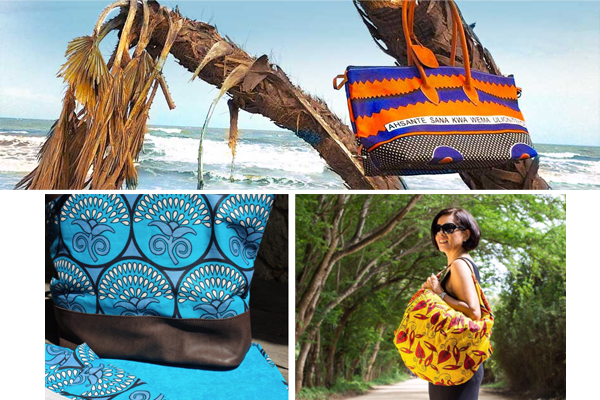 This Etsy shop is full of incredible jewelry and bags made in Kenya by local artisans. 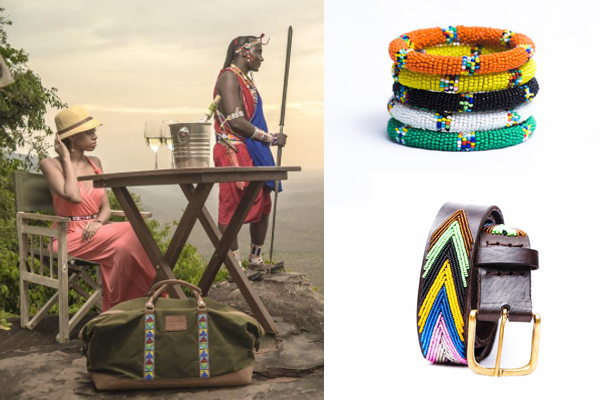 The shop allows buyers from all over the world to enjoy gorgeous Kenyan pieces while providing fair wages and opportunities for local craftspeople. I wear a LOT of Kenyan accessories, and if you've ever wanted some beaded goodness for yourself, this is the shop to get it from! 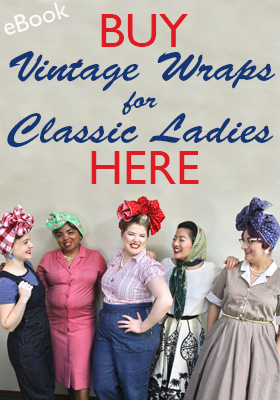 This head wrap shop has quickly become one of my new favorites! I was lured in by their gorgeous IG feed, and I've even bought one of their wraps for myself! Their shop includes wraps made of West African fabrics, along with other textiles such as ikat, denim, floral, and solid colors. The shop also carries jewelry and other items. 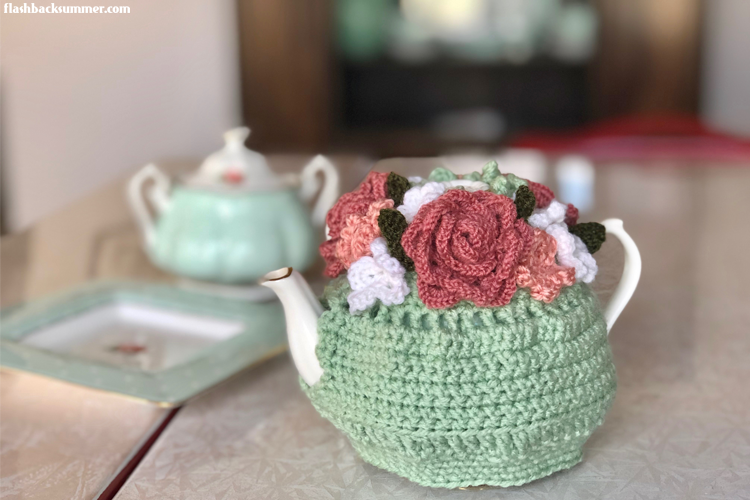 I just discovered this Etsy shop, and it was one of those moments where I thought to myself, "This is PERFECT to feature on the blog!" It's a shop specializing in neckwear, specifically bow ties and jabots! Jabots were popular in the earlier half of the 20th century, and they would fit perfectly into a vintage wardrobe. The shop owner, Alua, has both African print and more culturally "neutral" options available to suit your look. 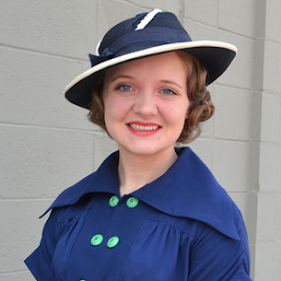 Each jabot is a no-sew accessory you can tie on and go! Chocolate Sisters is run by Jorna, a woman born in the Netherlands and raised between both there and Gambia as a child. She has married a Gambian musician, and now her shop shares beautiful West African style with customers. The shop includes fashion, custom couture, and jewelry. 25% of each jewelry purchase goes to fight malaria through education and prevention materials. The owner's mother died of malaria a few years ago, and now she uses her shop to make a difference in Gambia. This shop is fantastic! The designer combines both vintage silhouettes and modern African prints for looks that would work seamlessly into a vintage-intercultural wardrobe. 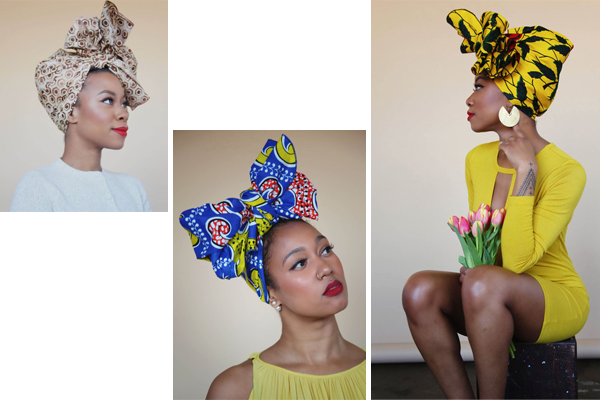 The Etsy shop includes head wraps, jewelry, and clothing that is impeccably designed. Not to mention... check out the print on the wrap below! Oh, this shop and its fabulousness! The designer, Rahyma, is queen of amazing maxi skirts! They remind me of 1940s maxi skirts that were often worn on vacations, and they would be a great addition to a vintage wardrobe. There are also a variety of other styles such as dresses, harem pants, and jackets, all of them in vibrantly colored African textiles. This shop has a HUGE selection of items ranging from clothing to cuff links and accessories. My favorite item is the long pencil skirt below, and there are items to coordinate with anything in your wardrobe! 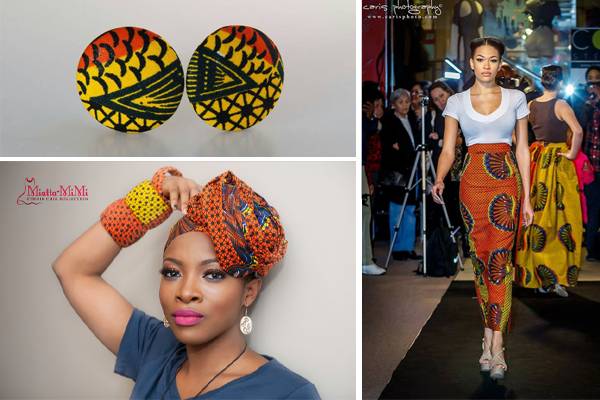 If you're new to incorporating African trends with your vintage style, try switching out some of your bakelite for their chunky African fabric-wrapped bracelets for an intercultural twist on your vintage look. Is there an item from any of these shops that especially calls to you? Have you bought anything from one of these stores or another African shop you would like to recommend? I appreciate that you are going so in-depth on these topics of respecting culture, while still being inspired by them. 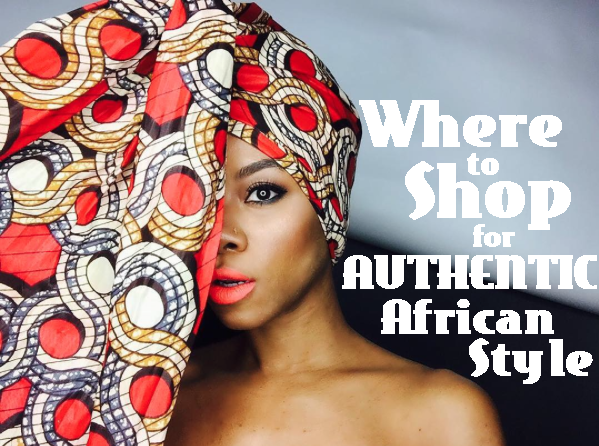 I love so many of the African fabrics, and it is great to learn the history behind them. One of my favourite dresses I own is a wax print sundress I picked up from a thrift store, and I do have a couple other lengths of fabric that I picked up along the way. 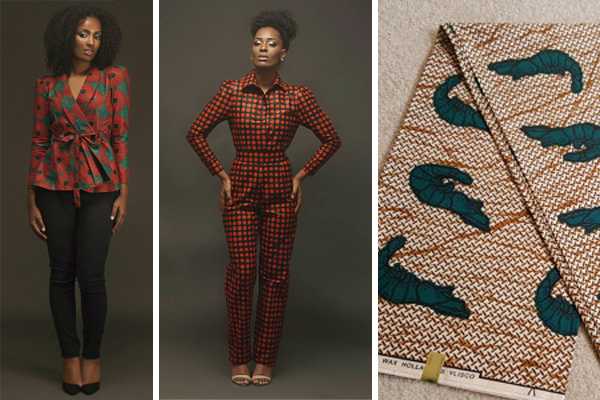 Looking at the gorgeous designs of Yetunde Sarumi is giving me lots of ideas of what to make! Her clothing designs are beautiful. Thanks for sharing!